While the political commentators in the nation’s capital are wrapped up in the debate over what to do about ISIS, and as one third of the Senate and nearly all members of the House campaign for re-election, the president’s spies continue to capture massive amounts of personal information about hundreds of millions of us and lie about it. For example, if the NSA, while unconstitutionally listening to the conversations of Americans hoping to hear about plots to harm other Americans (it has revealed no such plots from among the trillions of private conversations it has monitored since 2005), comes across evidence of a bank robbery, the NSA will pass that evidence on to the Department of Justice. The NSA routinely does this notwithstanding representations to the FISA court that authorizes its spying that it is not in the business of gathering evidence in criminal cases. 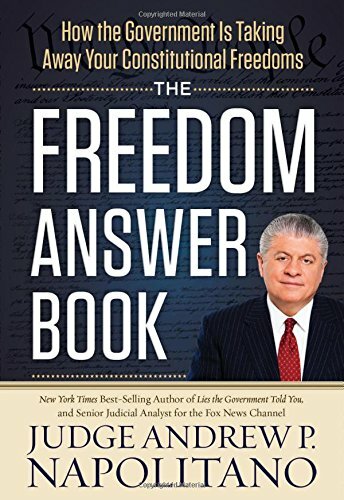 It makes those claims because the George W. Bush and Barack Obama DOJs have argued to the public and to the FISA court that the The Freedom Answer Boo... Andrew P. Napolitano Best Price: $1.11 Buy New $2.99 (as of 06:30 EDT - Details) Fourth Amendment, which prohibits all searches and seizures without a warrant, somehow applies only to criminal investigations and not to domestic spying. No Supreme Court decision has ever stood for that proposition, and the plain language of the Fourth Amendment makes no distinction between intelligence gathering and evidence gathering. Rather, the language of the amendment is so broad and sweeping (“The right of the people to be secure in their persons, houses, papers, and effects against unreasonable searches and seizures shall not be violated” except by a search warrant issued by a judge upon probable cause.) that for 230 years it has been held to restrain and regulate all government efforts to gather private information — no matter their purposes. So, what happens when the spying uncovers ordinary criminal behavior unrelated to national security? In order to keep its hands clean, so to speak, the NSA sends that evidence to the DOJ, whose lawyers and agents in cahoots with the NSA then concoct an explanation as to how the DOJ came upon the evidence. Of course, that explanation curiously and carefully omits the mention of domestic spying. DOJ lawyers know that if the beginning of the process of obtaining evidence is found to be unconstitutional, then the evidence itself can be useless in court. This is what lawyers and judges call the “fruit of the poisonous tree.” Were this not so — that is, if the government could spread any net as broad and as wide as it wished and use whatever the net caught as evidence in criminal prosecutions — then the Fourth Amendment’s search warrant requirement would be meaningless because it would not protect the right to privacy as its authors intended. 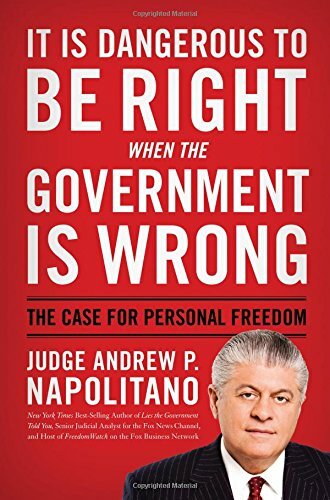 Thus, in order to maintain the façade of spying only for domestic intelligence purposes, and to appear faithful to public and secret It Is Dangerous to Be ... Andrew P. Napolitano Best Price: $1.81 Buy New $4.95 (as of 07:20 EDT - Details) promises (the FISA court only sits in secret) that any evidence of criminal behavior inadvertently discovered by NSA spies will not be used in criminal prosecutions, and so as to keep the mechanisms of domestic spying hidden from non-FISA federal judges who are more likely to apply normative interpretations of the Fourth Amendment than their FISA court colleagues, the NSA and the DOJ began the process of parallel reconstruction. Parallel reconstruction consists largely of the creation of a false beginning — an untrue one — of the acquisition of evidence. This, of course, is criminal. 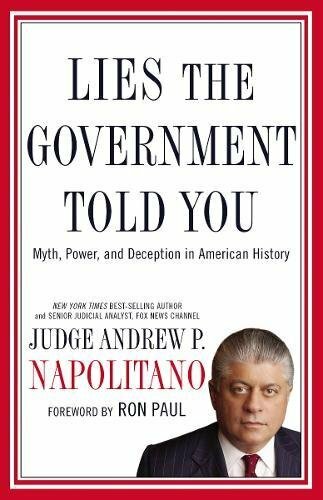 Lawyers and agents for the NSA and DOJ may no more lawfully lie to federal judges and criminal defense attorneys about the true origins of evidence than may a bank robber who testifies in his own defense claiming to have been at Mass at the time of the robbery. While parallel reconstruction is deceptive, unlawful and unconstitutional, I suspect it is but the tip of a dangerous iceberg spawned by the unbridled NSA spying that Bush and Obama have given us. 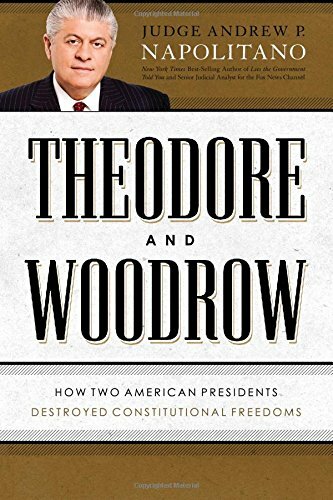 When you mix a lack of fidelity to the plain meaning of the Constitution with a legal fiction, and then add in a drumbeat of fear, enforced secrecy and billions of unaccounted-for taxpayer dollars, you get a dangerous stew of unintended tyrannical consequences. Is this the government the Framers gave us? Is this the government anyone voted for? Is this a faithful and moral commitment to the Constitution, the rule of law and personal liberty? The answers are obvious.